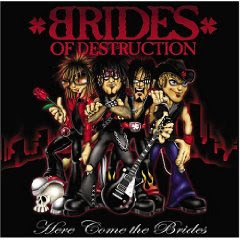 Review: Brides of Destruction, "Here Come the Brides"
Take Motley Crue bassist Nikki Sixx and L.A. Guns guitarist Tracii Guns and team them with a pair of unknown artists like singer London LeGrand and drummer Scott Coogan, then add a dash of extra guitar work from former Crue singer John Corabi and what do you get? Surprisingly, a very modern hard rock album. Though there are definitely some bits, like the catchy "Natural Born Killers" and the sappy "Only Get So Far," that will remind fans of the 1980s scene where the band has its roots, for the most part, nothing on the album seems out of place or dated in today's rock scene. The album begins with a blast of Misfits-style punk in "Shut Up," then goes dark for the screamer "I Got a Gun," which has a slight industrial flavor. There's plenty of crunch in songs like "2X Dead" and "Brace Yourself," while "Life" reminds me of the current crop of garage bands like the Vines and the Hives. All in all, "Here Come the Brides" is a surprising effort from a band that could have just trotted out remakes of the members' 1980s hits. 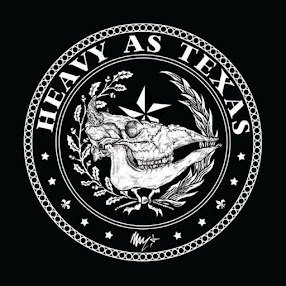 It strikes a careful balance between sounds that will please fans of Sixx and Guns' former bands and modern hard rock that should draw a new audience. An impressive debut from two hard rock veterans. Get "Here Come the Brides."